Hollybeary Creations : YNS Feature Day!! It's time for our Monthly Feature Day at Your Next Stamp. We are getting to know our ABC's! The design team is sharing some great projects for Back to School and showcasing the ABC's. There' s chance to Win a Stamp set of your choice when you visit the YNS Blog. 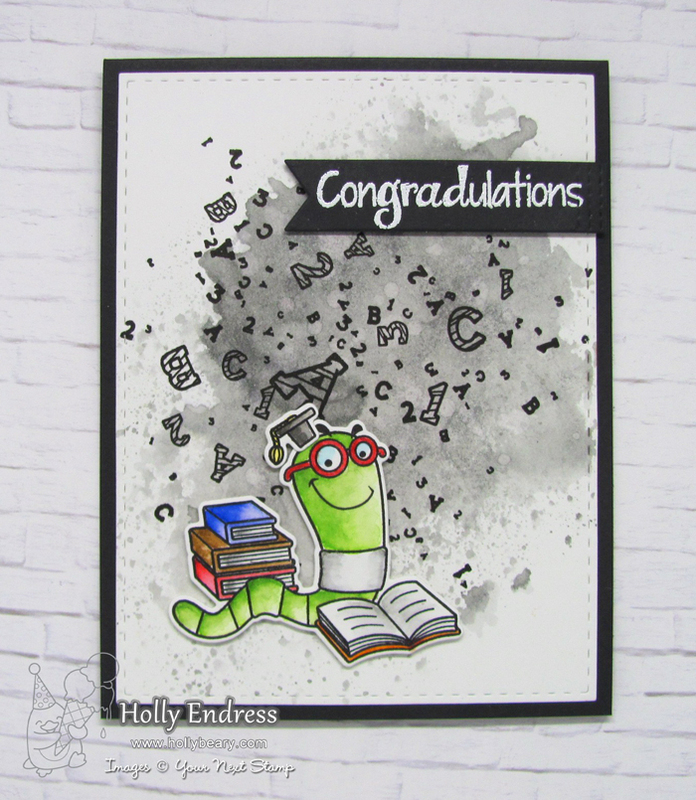 I'm using the Fun Alpha Splatters Background stamp and the Get your Fiction on Stamp set. I created a Distress Ink background on a piece of Bristol Smooth paper using Hickory Smoke Distress ink. I stamped the Alpha Splatters background over the center using some VersaFine Black ink. I used the Stitched Rectangle die set to cut the panel out and adhered it to a Black A2 size card base. 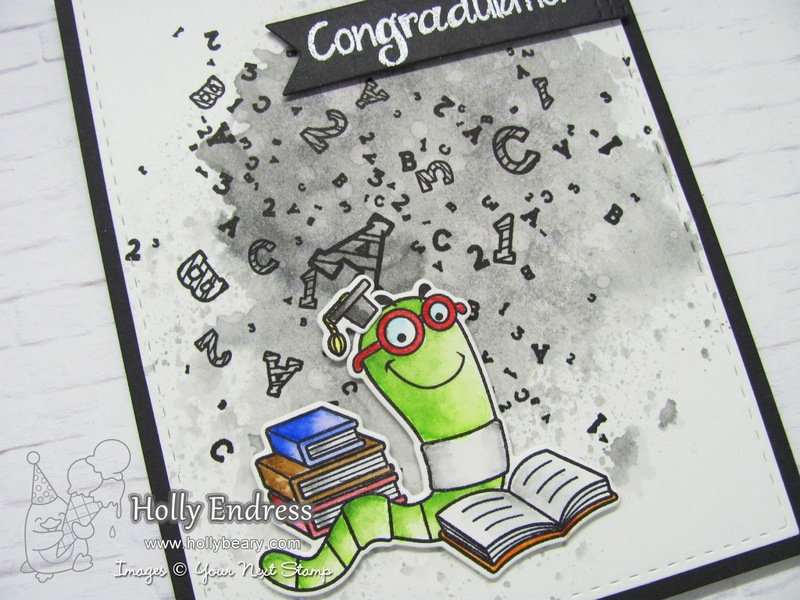 I stamped the image from Get your Fiction on onto some Bristol paper and colored it in with Zig Clean Color Real Brush markers. Once it was dry I used the coordinating dies to cut it out and adhered it to the background with some foam tape. I die cut a Black tag using the Cool Tag Three die set and heat embossed the sentiment using White embossing powder. It's adhered with foam tape as well for a little dimension. Head over to the YNS Blog for some more ABC inspiration from the team and leave a comment while you are there for a chance to win a Stamp Set of your choice. Cute :)I like this background very much :) and also great coloring. That's a super cool card, I love the color combo. This is a fun card !